Welcome to Adirondack Services, your trusted piano services provider. We’re a small team that is passionate about music but more specifically, the piano. Beautiful music does not only move us, but also have the skills and experience to understand the constant maintenance required for an enjoyable session every time. Our founder, Douglas Williams, is a professional pianist who prides himself in providing other pianists with handy sources, tools and tips on keeping their pianos shipshape. 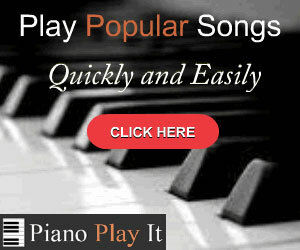 He soon discovered a real need for professional piano services to those who wish to master the instrument. Douglas wanted to create an online community of passionate musicians and learners of the art where information would be readily available. He then launched Adirondack Piano Services to create such a space. From humble beginnings the site has grown into what our loyal subscribers love today. On this site you will have instant access to great resources, handy guides and tutorials as well as the latest news and tips on everything related to your piano. Whether you want to learn how to play, are moving to a new location and need some tips on moving your piano or want to know where to find some sheet music, this is the place to be! We love hearing from our audience and encourage you to contact us with any questions or queries regarding your specific needs. We strive to keeping Adirondack Services fresh with the latest news and tips out there.